If you love the sweet, lighthearted sound of traditional Hawaiian music, then you’re probably going to enjoy playing the soprano ukulele. 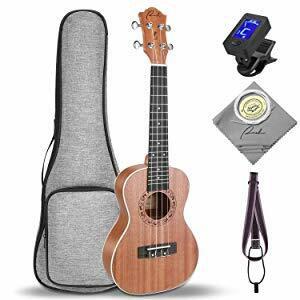 This lightweight, portable instrument is easy to take along with you wherever you go, and as stringed instruments go, it’s among the most affordable – even if your pick happens to be one of the best soprano ukuleles on the market. In case you’re curious about whether the soprano uke is right for you, keep in mind that although this instrument is very small, it’s easy for most people to play. Unless your hands are far larger than average, you’ll probably find that you do just fine. If you are one of those with larger hands or a desire for lower pitches, then you’ll probably want to take a look at tenor and baritone ukuleles. With these considerations in mind, here are our top criteria for selecting the best soprano ukulele. The market is absolutely flooded with cheap, plastic ukuleles that are little more than toys. The good news is that even though there are lots of bad ukes out there (really, they don’t even deserve the name!) there are plenty of good ones at great prices. Make overall quality your primary criteria when choosing a soprano ukulele and you’ll never go wrong. 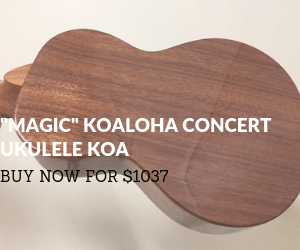 Since some ukuleles are clearly superior to others – we’re talking custom ukuleles and those in the over $500 category – we aren’t including them here. 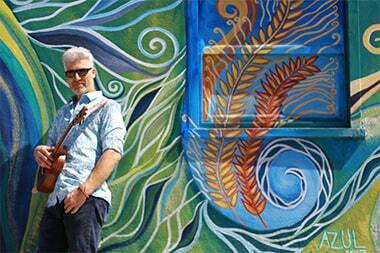 If you can afford to support an artisan who crafts fine ukuleles, there’s no reason why you shouldn’t do it! 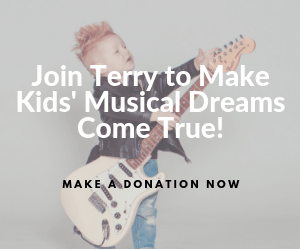 At the same time, there’s no need to spend more than you can comfortably afford, particularly if you’re not sure that this is “the” instrument you’ve been longing to play. 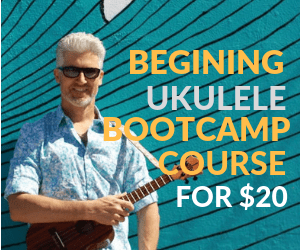 If you’re brand new to the ukulele, or if you’re looking for a fun instrument to take along to the beach or your next camping trip, then something that sounds pretty good but doesn’t cost a lot will do nicely. Many of the best soprano ukuleles are moderately priced, allowing you to enjoy a great combination of quality and affordability. You should really like the way your instrument sounds, or you simply won’t feel like playing. 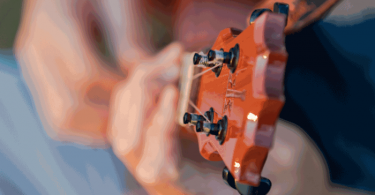 If you can’t try your ukulele before purchasing it, see if you can find sound samples online. Many manufacturers provide short videos so it’s easy to hear their instruments in action. String action is a major consideration in choosing a great ukulele. Low action amounts to less effort as you press the strings. Even so, some players prefer higher action as there’s less risk of the strings buzzing against the frets. Action can be adjusted so don’t worry too much if it’s not perfect straight out of the box. The strings themselves are part of your setup. Again, this is a factor that isn’t set in stone. Many players decide to swap the original strings for better ones, like Aquila or D’Addario. Speaking of strings, all strings need time to break in before they stay in tune. This is one of the biggest complaints from reviewers who don’t realize that it can take hours of playing for strings to stretch completely. Most ukulele players eventually learn how to adjust setup on their own since it’s rare to find an instrument that’s just perfect right out of the box. Learning how to replace strings and how to make simple adjustments to the nut and saddle will save both money and time. A great ukulele feels good in your hands from the start, and even better once it has been set up. You can tell the difference when you hold the best ukuleles compared to cheap ones: The frets are smooth and level, there are no rough edges or buzzing strings, and everything feels just right. Once the action has been adjusted to you’re your playing style, you can simply relax and enjoy time spent strumming your uke. Custom ukuleles are often made with fine tonewoods like Hawaiian Koa. 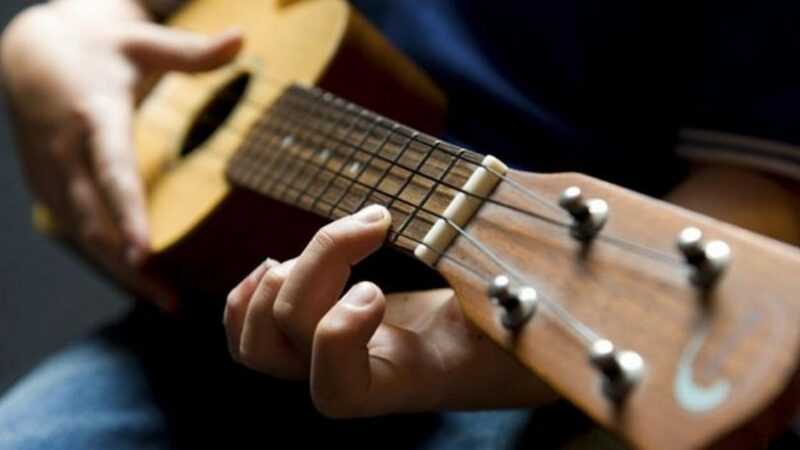 Mid-priced ukuleles tend to feature woods like spruce, acacia, cedar, maple, mahogany, or walnut, and quite a few are laminate rather than solid wood. There are pros and cons to laminate vs solid wood ukuleles; laminates are less likely to split, they’re more durable, and they’re usually cheaper. Solid wood tends to sound sweeter and its tone improves with age. If you’re brand new to the world of ukuleles, don’t be afraid to try a laminate even though it’s likely that certain purists will try to talk you out of it. 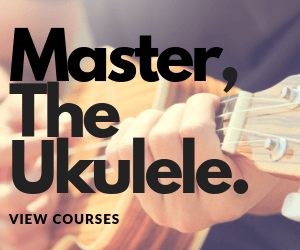 Get the best you can afford and enjoy your ukulele. You can always upgrade later if you feel like it. Check out the tuners as you make your choice. Both geared and friction tuners have their advantages, and both can be high quality. This is one area where you’ll want to pay close attention to what others have to say. Bad tuners are a real nightmare, so it’s best to avoid them! Many mass-produced soprano ukuleles are decent, and you can easily make them better by changing out the strings and/or adjusting setup. Don’t worry too much if you can’t afford one of the best soprano ukuleles on the market right now. By reading reviews and looking for consistent complaints in the same area i.e. 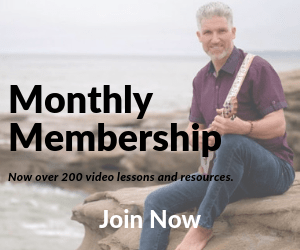 bad tuners, split wood, frets in the wrong position, and other defects, you can weed out the worst and come up with something that sounds pretty good and helps you learn the basics. Soprano ukuleles normally have scale lengths between 13 and 14 inches. Scale length contributes to the ukulele’s sound as well as it size overall. Many pineapple ukuleles have the same scale length as the average soprano uke. 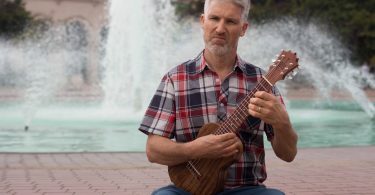 Because nut width (the width of the ukulele’s neck at the nut) determines how much room your hands have to move across the instrument’s neck, you’ll want to consider this factor. Wider nuts mean more room for fingers while smaller ones mean little hands have an easier time reaching. Nut width tends to vary by manufacturer and some don’t mention it in their literature. If you ‘re looking at a ukulele and you don’t see nut width listed, ask the seller. They might be able to help. While ukulele nut width is important, it’s a matter of personal preference. What works perfectly for one person might feel terrible to someone far larger or smaller. This is a fantastic kit for anyone who’s just starting out! The Kala soprano ukulele features a traditional laser-etched rosette on its mahogany top. The fingerboard is walnut, the nut and saddle are of Graphtech NuBone, and Aquila Super Nylgut strings are included. A satin finish keeps the uke looking good and doesn’t pick up too many fingerprints. This ukulele offers a cheerful, traditional sound with quite a bit of ring. The scale is at 13.625 inches, and the nut width is 1.375 inches, which is pretty much standard for the Soprano uke. There are 12 frets on the fingerboard. 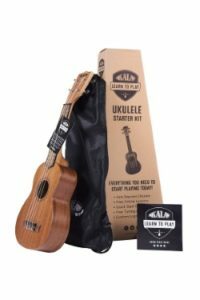 This starter kit has some nice extras including a quick start booklet, access to Kala’s ukulele app with tuner, and a handy tote bag. For brand new players on a budget, this sweet little Kala is one of the best soprano ukuleles available. The Kmise Soprano Ukulele stands out for its quality, which is astonishing considering the price point. This traditional ukulele features mahogany wood construction, with walnut fretboard and bridge. It has closed 18:1 pure copper gear tuning machines for good intonation and longer playing sessions between tuning. The nut and saddle are ox bone. This ukulele is designed to offer lower action than average. It features 15 frets and comes with soft D’Addario strings. The bridge is specially designed to allow for easier string changes when needed, i.e. due to a broken string or to swap string positions for a left-handed player. This ukulele measures 1.38 inches at the nut. It comes with strap buttons pre-installed, which adds extra value. The kit includes a neck strap, along with a tuner and a bag. 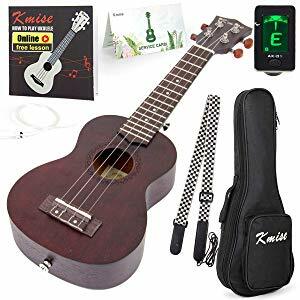 This is one of the best entry level soprano ukuleles on the market, perfect for beginners and fun as a camping / beach ukulele for anyone who likes to play. The Ranch Soprano Ukulele is a great find! This fantastic little instrument has an arched back for longer sustain and a warmer, culler tone. It sounds amazingly sweet and resonant, thanks to solid Sapele wood construction. Aquila strings are included, and chrome diecast tuning pegs are easy to operate. The frets have been well-manicured so this instrument feels amazing as soon as you pick it up and start to play. 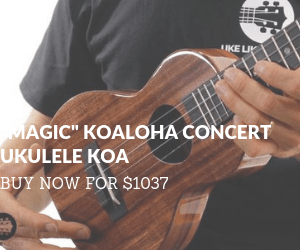 This fantastic ukulele comes with a one year warranty and a one month money back guarantee. It includes a lined fabric gig bag, a digital clip-on tuner, and a hook in strap, plus a spare set of Aquila strings. The Ranch soprano ukulele measures 1.5 inches at the nut, so there’s more room for larger hands. 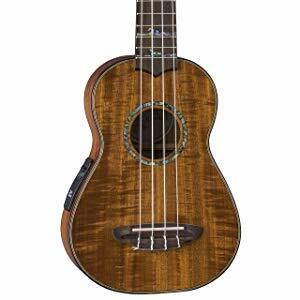 Overall, this is one of the best soprano ukuleles in its price range. While it’s by no means a professional uke, it’s gets high marks from experienced players as well as newer ones. The Flight NUS 310 offers a sapele wood top, back, and sides, along with a strong okoume wood neck. The bridge and fingerboard are rosewood, and the laser etched rosette is a nice touch. The nut and saddle are real bone, and the geared tuners add convenience. This ukulele comes with a nice padded gig bag. This ukulele offers an arched back for plenty of warmth and richness, so even if you’re playing in the dead of winter you’ll be able to imagine the warmth of Hawaii’s sun. It has 12 frets and measures 1.377 inches at the nut. A rich, golden red finish protects the wood while lending a rich, beautiful appearance. 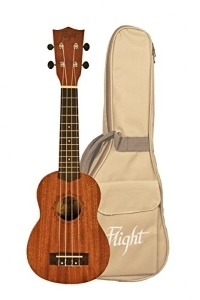 Flight ukuleles are fairly new to the American market but have a great reputation overseas. Thanks to its clear, bright tone, this is easily one of the best soprano ukuleles we’ve come across lately. If you’re thinking about playing for an audience at some point, then you’re probably going to want an acoustic/electric ukulele. This one from Luna is incredible, with a koa wood top and body, rosewood binding for a touch of contrast, beautiful abalone inlays, pearloid open gear tuners, and 12 frets on the walnut fretboard. The bridge is walnut as well, and the neck is made with strong mahogany wood. The satin finish brings out the wood’s natural richness beautifully. Soundwise, this ukulele is full and rich, with plenty of sweetness to keep you playing. 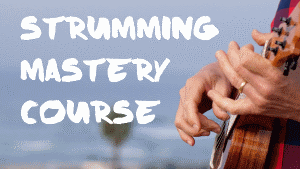 There’s plenty of clarity and lots of sustain whether you’re playing acoustic or plugged in. High-quality electronics including a Luna RD-0904TL preamp make for a pleasant audience experience. An onboard tuner adds convenience. The nut measures 1 5/16th inches, and scale length is 13.5 inches. A gig bag is included, along with Aquila Super Nylgut strings. Whether you’re planning to play for your own enjoyment or make your new soprano ukulele part of your latest musical act, it pays to choose a well-built instrument that feels good in your hands. Even the best soprano ukuleles are fairly inexpensive, making this sweet-sounding instrument one that’s as easy on your budge as it is on your ears.